The team at DJ's is here to serve your every catering need. Doug first started in the food service industry at a small gourmet meat market while in high school where he learned a guiding principle that would shape his future success – never compromise quality or service for any reason, especially for quick financial gain. After high school, Doug attended the University of California Santa Barbara where he graduated in 1990 with High Honors with a Bachelor of Arts degree in Economics. With the economy in a slump and a weak job market upon graduation, Doug decided to parlay his love and experience with cooking and his entrepreneurial spirit, into a challenging venture for the future. From a humble start in a home kitchen in 1991, Doug, along with his high school sweetheart and future wife, Jennifer, built DJ’s California Catering into one of Ventura County’s largest and most successful catering companies. Today the company operates from a state of the art, 10,000 square foot facility in Ventura, California. After working hard to build the business in its formative years, Jennifer now provides advice and guidance while home full time with their two children. A native of France, Eric earned his stripes in some of his country’s most well respected restaurants. After coming to the United States, Eric entered the demanding field of catering for the film industry where he excelled. Eric joined the DJ’s Team in 1994 and has been Doug’s right hand man and a leader in the kitchen ever since. Eric’s attention to detail and pursuit of excellence in everything he does have resulted in DJ’s award winning reputation for serving exceptional cuisine. After graduating from Temple University with a Bachelor of Arts degree in Business Administration from Temple University, John entered the challenging field of hotel and restaurant management, He spent several years as general manager at national restaurant chain where he was responsible for overseeing operations of a high volume restaurant with bakery and banquet facilities. John joined DJ’s in 1999 and today is an indispensable part of the Team, managing daily operations, bar services, and event coordination. From the top down Doug has assembled a team of dedicated professionals who truly care about the company and its clients. The majority of DJ’s full time staff has been with company for over ten years in an industry known for high turnover. 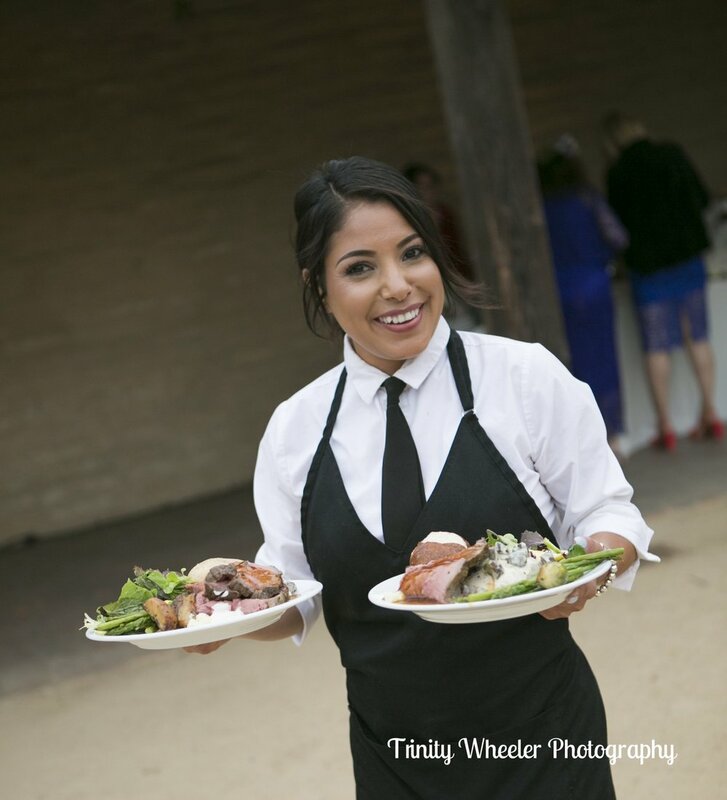 The DJ’s Team stands ready to provide you with truly exceptional food and service for your next event. Joining DJ's growing list of clients is as easy as a phone call or a text message to 805-850-0194. E-mail Doug & His Team with any questions you may have, they'll put their years of experience at your disposal to assist you in planning your next event. If you prefer you may elect to use our Contact DJ's form to ensure our availability.